Starbuck made her debut in the show ring in Raleigh, an extremely packed show site. She went BOB for 1 point. 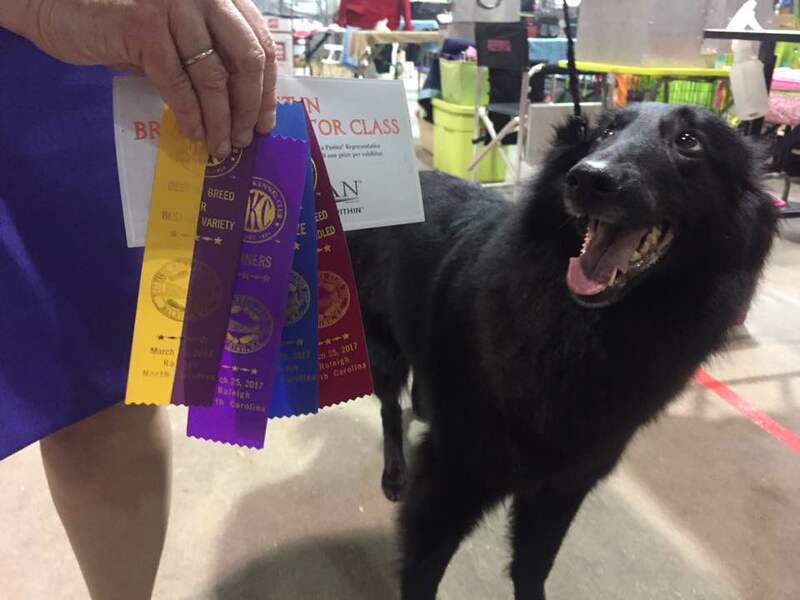 Then showed in Owner Handler Ring and Best of Breed Ring. A Owner Handler Group 4th placement was just the icing on the cake. Colt – 9th place at AKC Rally Nationals Nick earnes a HT and PT in one weekend!